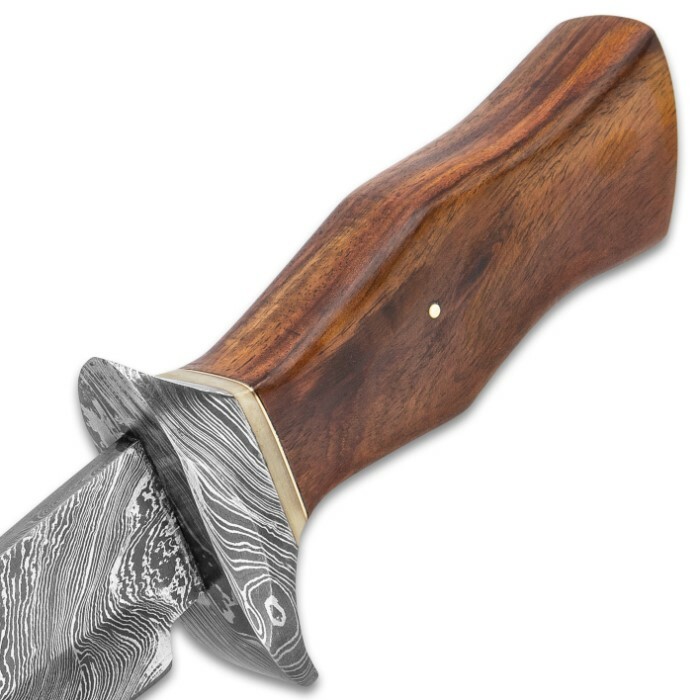 Timber Wolf Oakhurst Fixed Blade Knife With Sheath - Damascus Steel Blade, Wooden Handle, Damascus Steel Handguard - Length 14 1/4” | BUDK.com - Knives & Swords At The Lowest Prices! 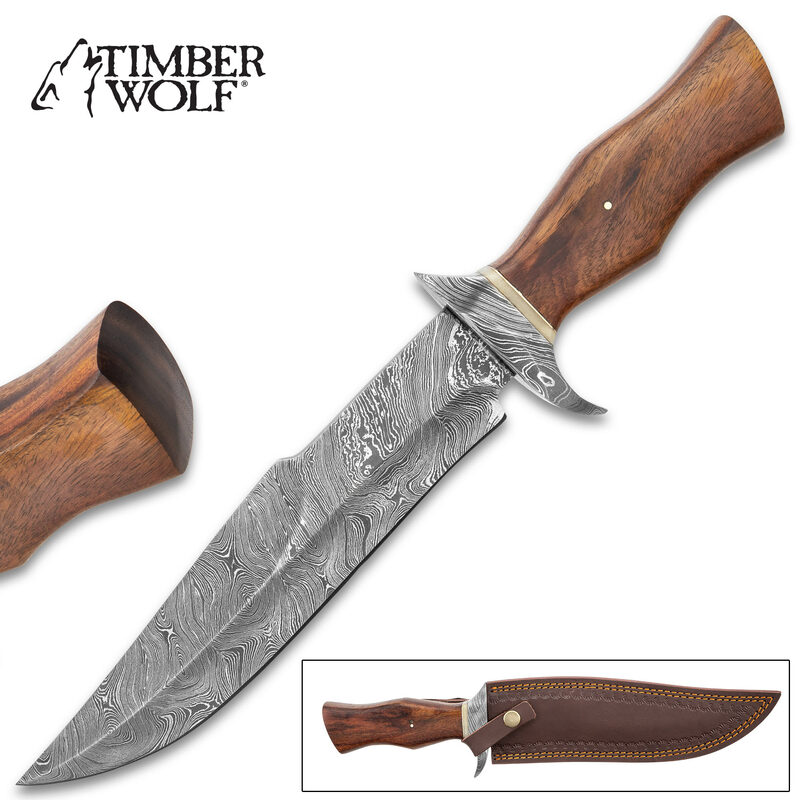 The Timber Wolf Oakhurst is a stocky and long fixed blade knife that has its origins in the everyday carry of the gamesmen who maintained the hunting lands of the titled gentry of Europe. 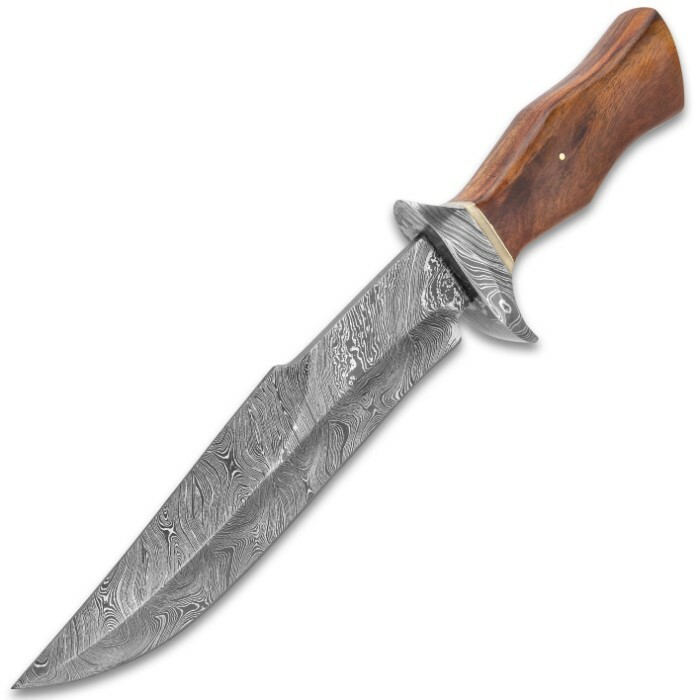 It has a beefy, keenly sharp, 9” Damascus steel blade, which extends from a stocky Damascus steel handguard, and is up to the day-to-day cutting tasks out on the royal hunting grounds. 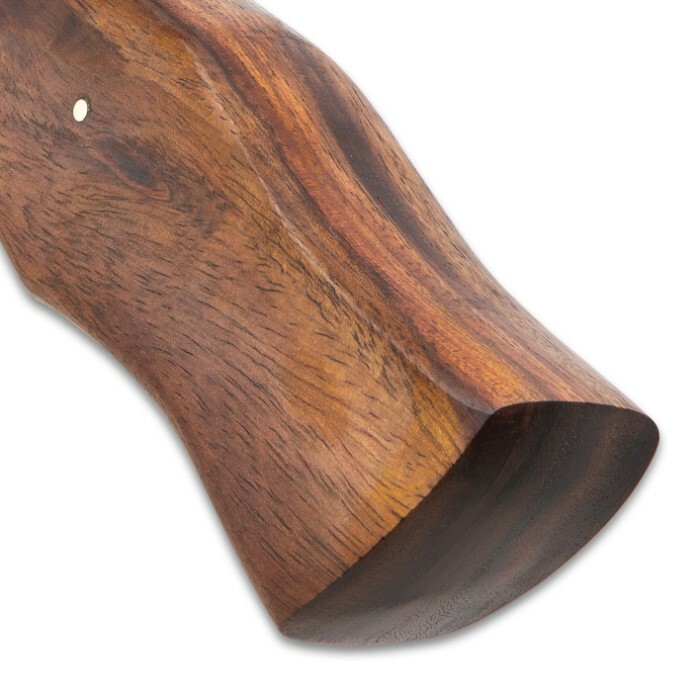 The dark brown wooden handle has an ergonomic, finger grooved grip and it has a definite heft to it when held. The 14 1/4” overall fixed blade slides smoothly into a premium leather belt sheath with a snap closure and embossed designs.